The first T-Shirts date back around the Spanish-American War when the U.S. Navy issued them as undershirts. They featured crew necks and short sleeves and got its name because of its shape which resembled the letter “T.” It was made of lightweight inexpensive cotton and was easy to clean so it became the top choice for dockworkers, farmers, miners, and construction type workers and even by mothers for their sons’ outerwear for chores and play. The term “T-Shirt” entered the Merriam-Webster’s Dictionary by 1920 while its popularity soared in 1950 after the actor Marlon Brando wore one in the movie “A Streetcar Named Desire.” About the same time, a number of companies in Miami experimented with garment decoration, particularly screen-printing. One of the first prints was Walt Disney’s Mickey Mouse licensed under the company Tropix Togs. By the 1960s, screen-printed T-Shirts were used for self-expression as well as commercial advertisements, political views, and souvenir messages. Any T-shirt that is a certain pattern or color throughout the shirt is a basic T-shirt. Basic T-shirts can be for either men or women and come in any sleeve style. Great for layering or to create a simple, standard outfit, the basic T-shirt is one item everybody should have in their closet, because they are versatile enough to go with dressy or casual clothes, and they can be worn for a wide variety of occasions. If you keep some basic T-shirts in your closet that come in standard colors such as white, black, and even navy blue, you are likely to wear these more often than you think, especially if you want something to go underneath a more decorative or fancy shirt or blouse. These are T-shirts that are decorated with something other than ink. They are especially popular with women because they include decorations such as bows, sparkles, lace, rhinestones, and even studs. Some embellishments spell out words or form pictures, and they can be casual or elegant in nature. For instance, if the embellishments are found on your sleeves, seams, or cover your shoulder, they can create quite a fancy design on the shirt. Embellished T-shirts have pieces that can sometimes come loose, which means you should always buy them from a reputable manufacturer, but overall, these types of T-shirts are a little dressier than other types and, therefore, can be worn to more formal occasions. Any T-shirt with an image of some type printed onto the fabric can be considered a graphic T-shirt, and as you can imagine, they are extremely popular now with both men and women, and especially with teenagers and young people. The designs can be screen printed or dyed directly onto the fabric. Band and concert T-shirts are the perfect example of a graphic T-shirt, and these can include photographs of the band, logos, lyrics, or even tour dates. For some bands, in fact, these graphic T-shirts are collectors’ items, and the design can be on the front of the T-shirt or the back, and sometimes with both sides printed. 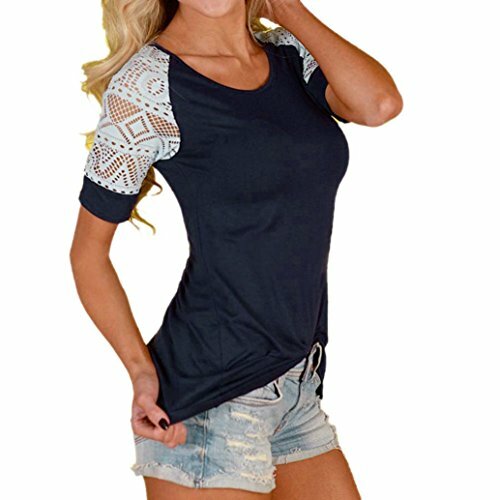 Only women’s T-shirts have cap sleeves, and these are sleeves that cover only the top part of the shoulder, but which don’t go under or around your arm. 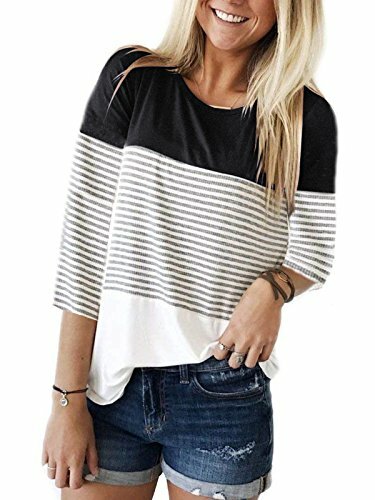 The sleeve is often a little on the puffy side, giving it a very feminine look, and this type of T-shirt makes women look a little slimmer, which most women appreciate. If the shirts are paired with a fitted bodice, they have a more feminine look, and because of the way the sleeves are designed and shaped, they have a dressy look as well, meaning you can wear a cap-sleeve T-shirt to a picnic, a brunch, or a girls’ night out. Long sleeves for both men and women extend all the way to your wrist, and most of them are cut in a straight line but are neither too tight nor too loose. 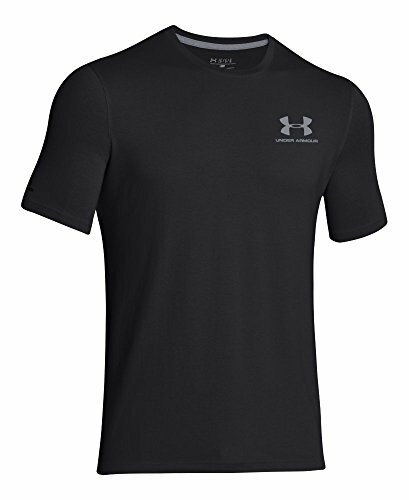 Some long-sleeve T-shirts have cuffs around the wrist that are a little tighter than the rest of the sleeve, and these are especially common in men’s T-shirts. However, while many men’s long-sleeve T-shirts often have cuffs at the end of the wrist, many women’s T-shirts have sleeves that actually flare out a bit at the wrist. Long-sleeve T-shirts are great for when the weather is cool; however, they may not be perfect for very cold weather because they are still made just like a T-shirt, which means they are not very thick or very warm. Raglan sleeves are made in a certain style, so this term does not actually refer to the length of the sleeve. 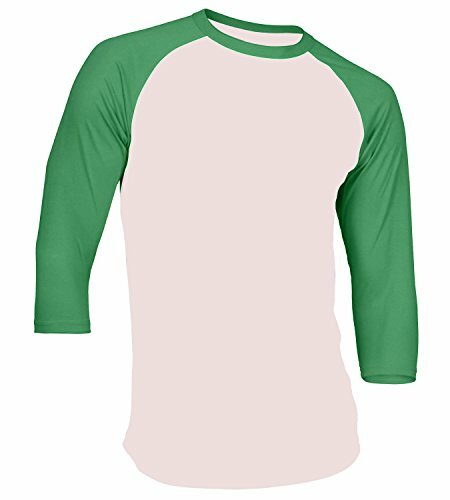 It is often called a baseball T-shirt because it is the style used in many baseball uniforms. Instead of having a straight up-and-down seam, raglan sleeves are attached to the shirt diagonally. In many instances, the bodice and the sleeve are two separate colors, and the shirts are made this way to attract attention to the lines. For both men and women, T-shirts with raglan sleeves are more sporty in look, and since they also tend to be very comfortable, they are incredibly popular for both men and women. When you think of a T-shirt, you’re likely thinking of the traditional shirt with short sleeves. About half of your upper arm is covered with the sleeve, although this varies according to the shirt. Short-sleeve T-shirts can fit loosely or tight, although it is mostly the women’s shirts that are more closely fitted. Although there are some differences between men’s and women’s T-shirts, particularly in the way they fit, many women only wear men’s T-shirts because of how loose and comfortable they are. One of the main things that set short-sleeve T-shirts apart is the variety of designs found on the front of them because this can include everything from company logos to rock bands and trendy phrases to retro designs, plus plenty more. Also thought of as some sort of tank top, sleeveless T-shirts leave your shoulders bare, but still have some type of strap, usually a wide one. Sleeveless T-shirts are great for the summertime, or for placing other types of shirts on top of them in layers, including long-sleeve shirts. Men’s sleeveless T-shirts are often called muscle shirts, while sleeveless T-shirts for women come in a wide variety of styles, from those that have spaghetti straps – usually called a cami – to those that are very decorative in nature. In addition, sports jerseys often come in a sleeveless T-shirt style, and all sleeveless T-shirts can be either plain or decorative. Like cap sleeves, the three-quarter sleeves are primarily found on women’s T-shirts. The sleeves fall below the elbow, but not all the way to the wrist, meaning they fit three-quarters of the way down your arm. They can be either fitted or loose, and they can also be altered somewhat and have loose, flowing upper arms with a more snug fit around the elbow. This style is actually called the Dolman or Batwing sleeve. When it’s cool outside, but not yet cold and no longer hot, the three-quarter sleeve is just perfect, and you can even layer them over T-shirts with shorter sleeves if you like. Round necks are the most popular and common type of neckline for T-shirts. It sits under the base of the neck and is a very modest type of neckline, making it great for both men and women. Men’s undershirts are usually round-neck shirts, and these types of T-shirts are so commonplace that almost every person on the planet has more than one round-neck T-shirt hanging in the closet. Although both men and women can sometimes find this type of neck to be a bit restrictive, they are usually comfortable enough that this should never be a problem. Like its name suggests, these T-shirts form a pointed V shape at the neck, giving it a little more space and providing for a more stylish neckline than the standard round neckline. V-neck shirts can come in different sizes, with some of the “Vs” being very low-cut and others cut very high. In fact, regardless of how much chest area you wish to show or what your personal style is, you can easily find a V-neck T-shirt that suits you. You can wear a deep V-neck shirt with a sleeveless T-shirt or even a camisole underneath, so even if you are aiming for a more traditional or conservative look, you can easily achieve it. 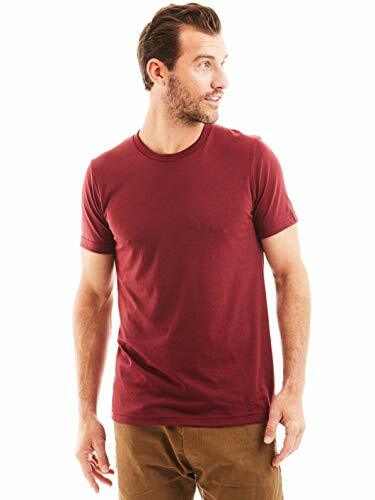 Men, too, can wear V-neck T-shirts, but they are not as popular or as easy to find as V-necks for women. Most T-shirts are made out of 100% pure cotton, in part because T-shirts are usually worn when it’s warm outside and cotton is both comfortable and breathable in the heat. It is also easy to work with cotton clothing, so if you wish to have designs printed on them or would like a T-shirt made out of an unusual or unique color, it should be no problem if the shirt is made of cotton. Because shirts made out of 100% cotton tend to shrink, some T-shirt manufacturing companies now make them out of cotton blends, which means they are made partly out of cotton and partly out of some other type of material, including polyester and Spandex. Although they still shrink a little, the shrinkage is not nearly as severe as it is with T-shirts made of pure cotton, and they are also just as comfortable as cotton shirts. There are many different types of knit T-shirts, and they are usually a single-knit variety made of one flat side and one piled side. 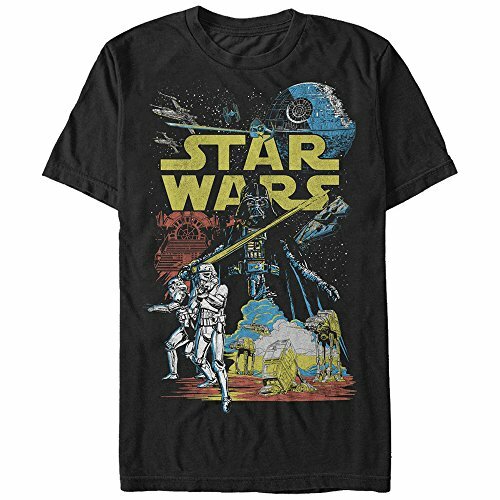 They are stretchy and comfortable, and even though they can be double-knit as well, T-shirts are usually made out of a single-knit variety to lend comfort and durability to the T-shirt. In addition to T-shirts, jersey knit can also be used for garments such as dresses, various women’s tops, polo shirts, and even draped garments. Jersey can be single- or double-knit, stretch interlock, or jacquard. Anything made out of a jersey knit material will be comfortable and breathable, and the double-knits have less flexibility than the single-knit items, which is why the former is used for polo shirts and the latter is used mostly for T-shirts and similar shirts.